Need great performance in any light – or no light at all? 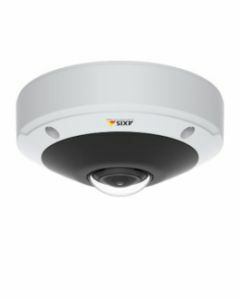 AXIS M3057-PLVE Network Camera delivers a complete 180° or 360° overview, indoors or out, around the clock. Plus it features Axis Zipstream technology for reduced bandwidth and storage without sacrificing the forensic detail you need. AXIS M3057-PLVE and M3058 PLVE are perfect for stores, hotels, office, banks, schools and hospitals. Or anywhere you need a complete overview 24/7.